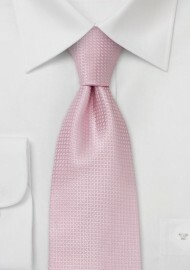 Very fashionable pink necktie - a perfect choice tie for the spring and summer of 2009. Tiny crosses in white are woven into the silk fabric. Not only does this pattern give the tie more structure, but it also gives a more refined look. 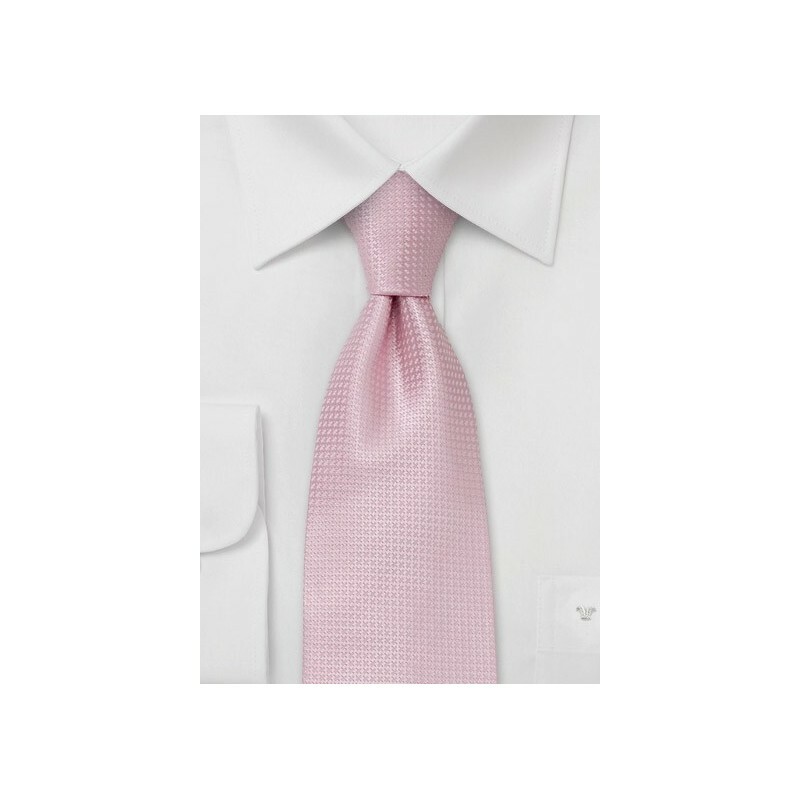 This tie will match best with charcoal gray, dark blue, or tan-beige colored suits. Neck ties by designer Parsley Luxury Neckwear are characterized by elegant and uncomplicated designs. Their ties are contemporary yet not to flashy for a tie to wear to the office. Ties from Parsley normally retail $50-$80 in department stores. We offer them for $29.90-$39.90. Handmade from 100% silk. Length: 58", Width: 3.5"
If you like the pattern on this tie you may also like this Apricot-Orange Silk Tie.